Tokyo, as with any city, has its fair share of people with personal problems. 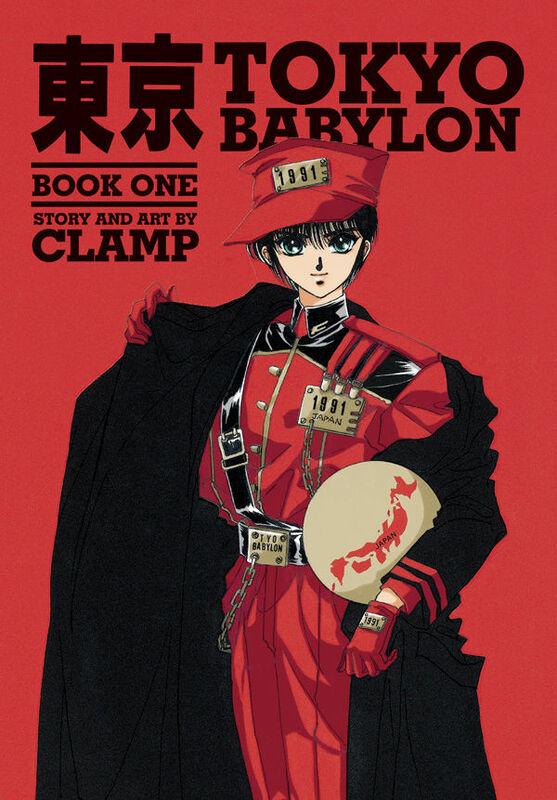 CLAMP decided that it would be good idea to have those problems manifest themselves as ghosts in their series “Tokyo Babylon.” Dark Horse is releasing this series in omnibus form with the first book, featuring the first four volumes, coming soon with plenty of extras. In the year 1991, Tokyo is a city that’s crushed under many heavy emotions. Sometimes these emotions turn into vengeful spirits. Enter Subaru Sumeragi, an Onmyodo (Japanese spell caster whose magic is based on Yin/Yang, the Five Elements, shikigami, and divination) who is trying to save Tokyo, the city he loves by using general compassion and exorcism. Along for the ride are his twin sister Hokuto, who dresses up in outlandish manga style outfits and Seishiro Sakurazuka, Subaru’s boyfriend. The story itself is more focused on social commentary than telling any actual story. Each chapter follows the same format: introduce a person with an issue, have Subaru come help then, have the person reveal their problem which coincides with the state of Tokyo’s current social climate, problem solved. It’s the old “monster-of-the-day” formula. The interactions between the three main characters are much more interesting. Subaru and Hokuto do feel like genuine siblings with their squabbles every now and again even though they do genuinely care for each other. Hokuto does steal the show whenever she’s around. She’s the most flamboyant and over-the–top of the characters. The homosexual aspect of the manga is handled in a very mature manor and is in good taste. Unlike in most manga, where homosexuality is portrayed in either a comedic or negative way, their relationship feels genuine. They talk to each other like real people. They do not exhibit the cliché homosexual qualities. This is probably the best representation of a homosexual couple to date. Tokyo Babylon’s story falls into formulaic social commentary, but is mixed in with interesting characters. It’s ultimately the comic’s saving grace.